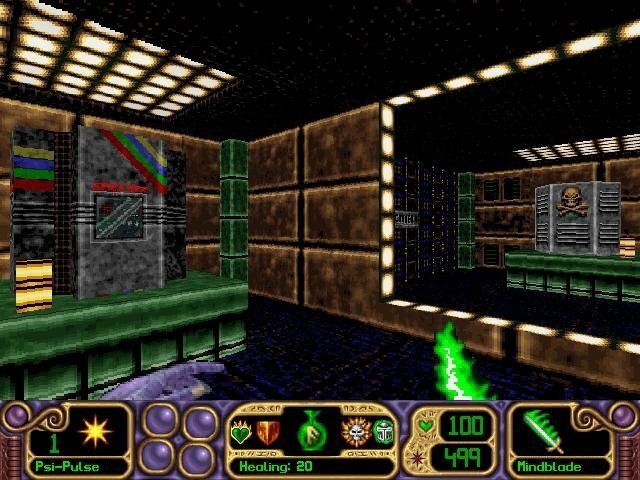 Alpha Storm is not a very well-known game, and on the surface it may appear to be yet another of countless Doom clones that were all too common in the mid-1990s. 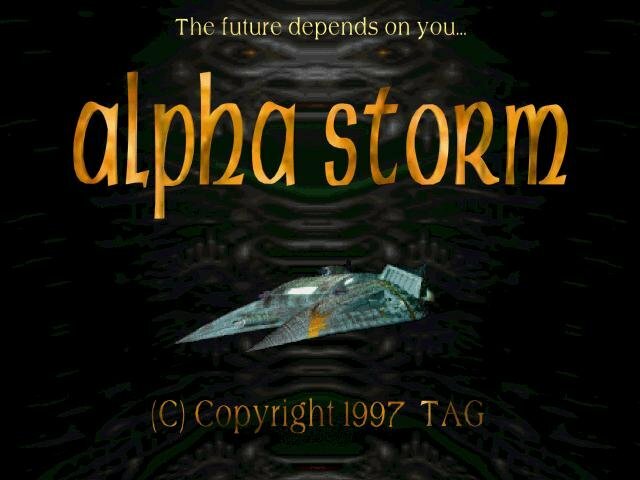 With Quake II released in the same year as this game, Alpha Storm would appear to be a hopelessly outdated game by a backwater developer. 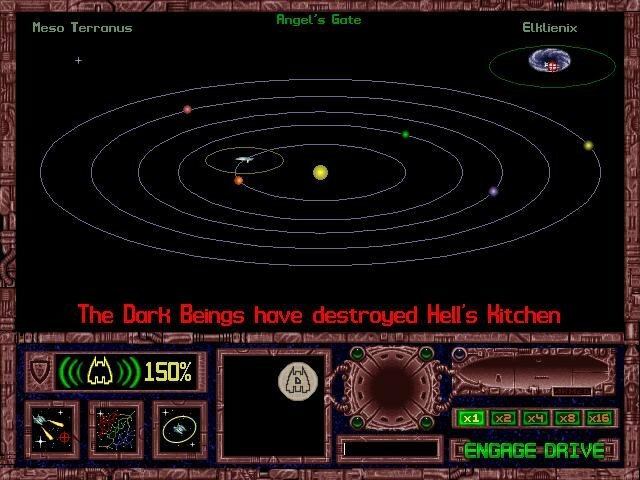 Alpha Storm is, at its most basic level, a sandbox game. 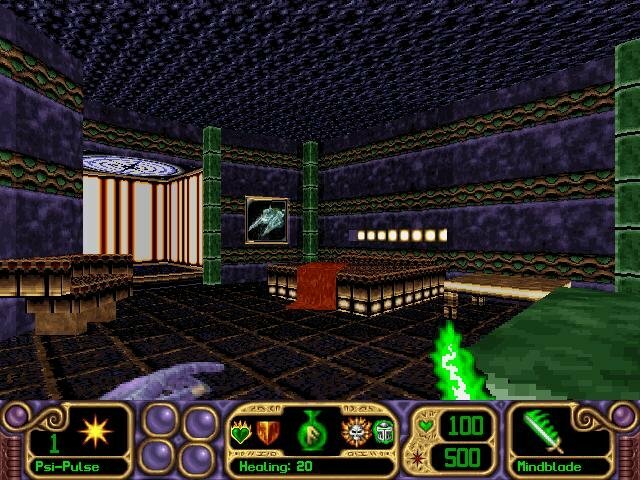 You are given a single starship, the Eradicator Prototype, and you are free to explore every nook and cranny on the ship – or just roam around it if you so desire (which is also a good way to familiarize yourself with the ship’s layout if you get boarded, but more on that later). 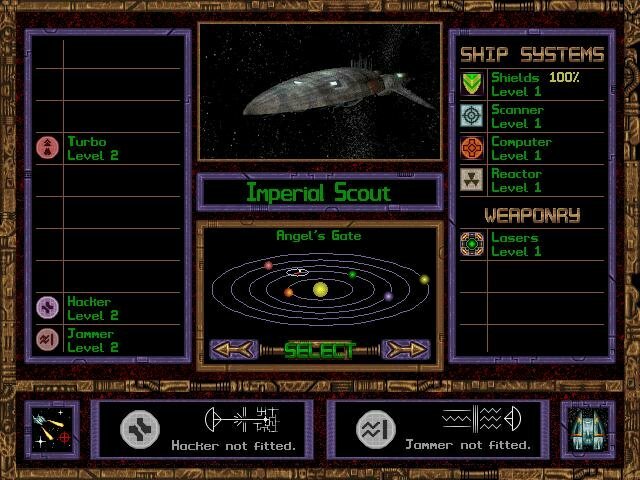 A ship’s main purpose is to take one to another location, and you can do that too – the game is set in a star cluster of about several dozen systems, and you can visit every single one of them whenever you like. The star systems you explore are not empty. They are populated by three factions – the Imperials, the Pirates, and the dinosaur-like Vargs, which are sadly all hostile to you. 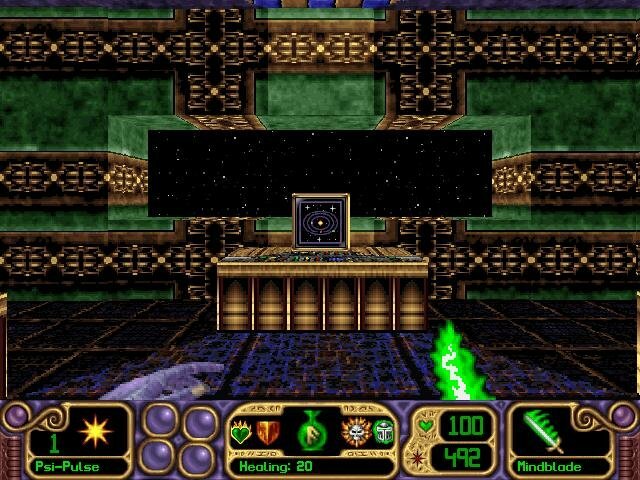 Combat is divided into space combat and on-deck combat, where you can personally board an enemy ship or space station (once you have disabled their shields) and look for devices to install on your own ship or just “consume” them for mana that powers your character’s psionic abilities. 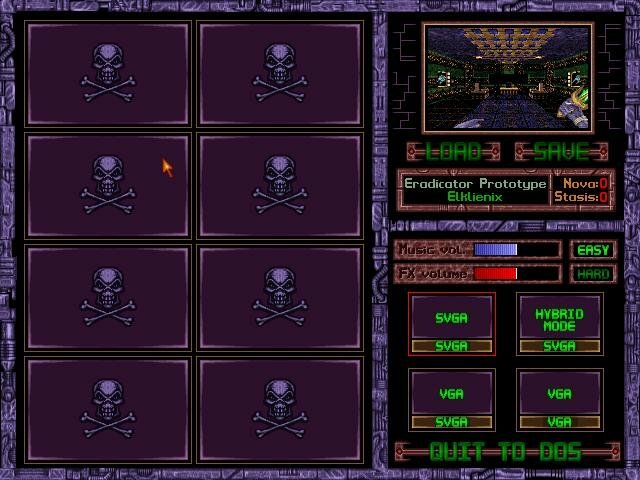 Your own ship can also get boarded if you are careless enough, in which case you need to be quick enough to kill all the boarders before anything gets stolen by them. 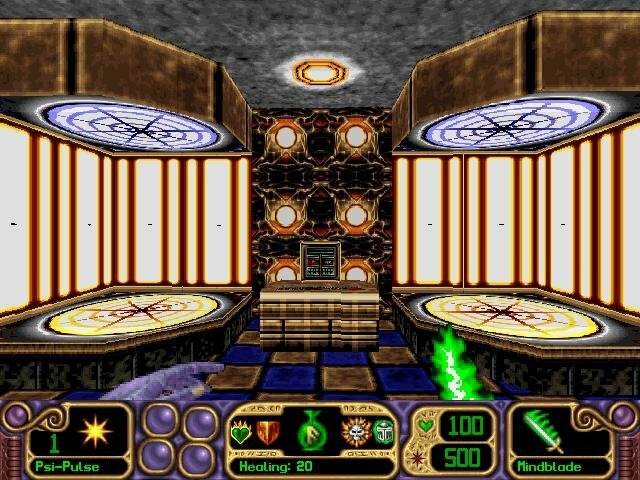 And finally, there are planetary bases, which play more like a traditional Doom-style FPS, and which hold pieces of the Nova Bomb and the Stasis Device, two devices that you need to assemble to complete the game. 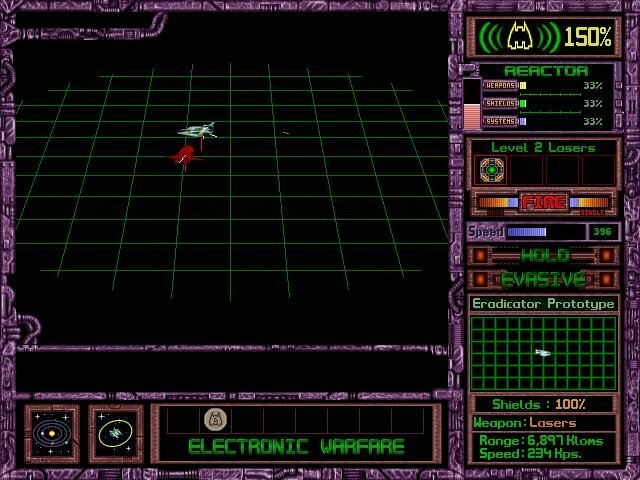 The devices you steal from enemy ships range from essential systems such as reactors or shields to weapons and electronic warfare systems that give you special abilities such as cloaking your own ship, decloaking enemy ships, detonating enemy projectiles, and even disguising yourself as another ship, allowing you to pass through a hostile system without attracting enemy attention. Enemy electronic warfare systems can also be disabled or weakened using special devices called the Hacker and the Jammer. 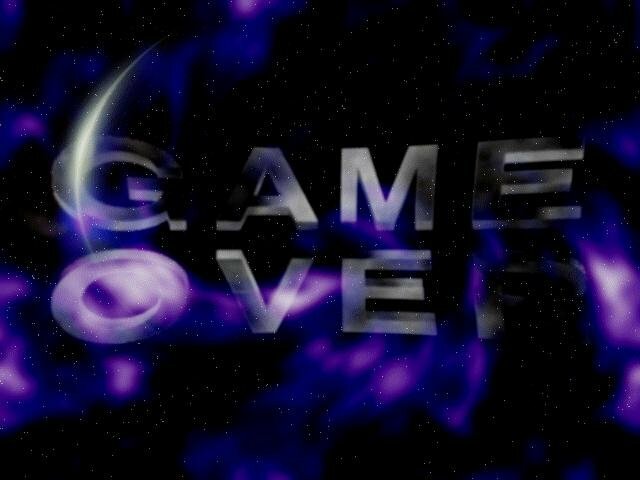 As you play the game, you must keep upgrading or replacing your ship’s systems – not only can you encounter higher-level versions of the same device, but your ship’s systems also get damaged in combat.